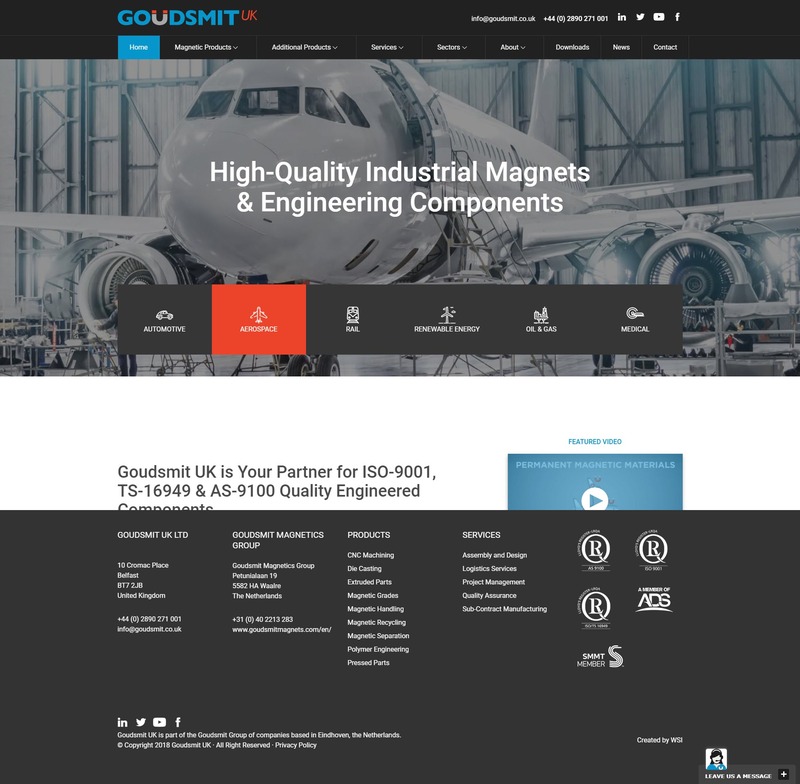 Goudsmit UK is part of the Goudsmit Group of companies based in Eindhoven, Netherlands, founded in 1959. Over 55 years experience in the design, manufacture and supply of magnets and magnetic assemblies. WSI created a modern, high spec site built on WordPress but with a fully customised theme to meet the customer's requirements.